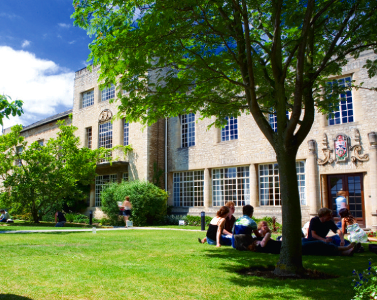 The conference will take place at St Anne's College, Woodstock Road, Oxford. Please refer to http://www.ox.ac.uk/visitors_friends/maps_and_directions/directions.html for information about getting to Oxford. Please refer to http://www.st-annes.ox.ac.uk/about/how-to-find-us.html for information about getting to Anne's College. Please note that many Oxford streets are closed to traffic and parking is severely limited. Visitors are encouraged to use public transport or the Park and Ride bus services when arriving by car. Further information about parking can be found below. We recommend going to the Peartree car park (OX2 8JD, at the junction of the A34 and A44). You can then prepay your parking for the length of the conference in advance at £2 per day. (If you are arriving after 6.30pm, note that the ticket machines at the car park are not in operation, and you will have to use the RingGo service instead — see http://www.oxford.gov.uk/PageRender/decTS/Park_and_Ride_occw.htm.) The service 300 bus will then take you directly to St Annes (£1.70 single fare) in about 10-20 minutes, depending on the traffic conditions. There is metered short-term parking in the streets near St Annes, but only for 2-3 hours. Instead, use the Peartree Park-and-Ride service as above, or the nearby Water Eaton car park ( OX2 8HA, on the A4165). Water Eaton provides free parking for up to 11 hours, and the 500 bus service drops off at Keble Road which is a 5 minute walk from St Annes. There are three other Park-and-ride car-parks, all of which could be used, but note that the nearest stop using the 400 service that runs between the Thornhill (east) and Seacourt (west) car parks is a 15 minute walk from St Annes. The 300 service buses from the Redbridge (south) car park does stop outside St Annes, but only after crossing the city centre.